This 74 place Child Care building was referred to Jorgensens by a previous client. 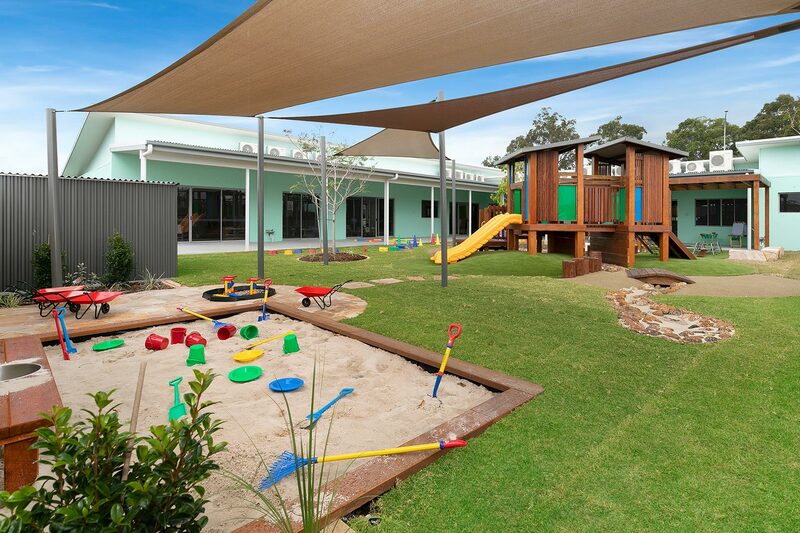 A 625m2 Child Care Centre on approximately 2500m2 of land with 34 car parks will be completed to a turn-key finish. Complete with rendered retaining walls, natural environment, landscaping and natural turf. Commencing March, this centre will be completed ready to open in August 2017. Visit the AMAZE Website Now!